Although Facebook and Google are usually considered totally different types of platforms the question comes up fairly often about which is better. 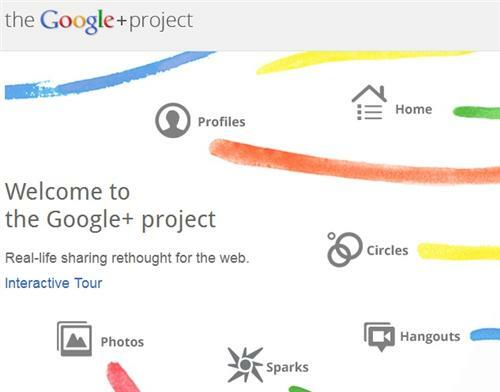 If one were to compare the two they should really be comparing Facebook to Google Plus. 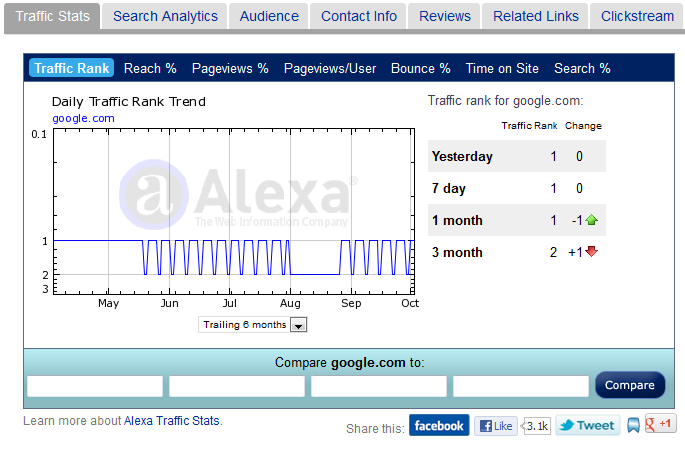 I am not that fond of Alexa rank, but that is different story for another day. 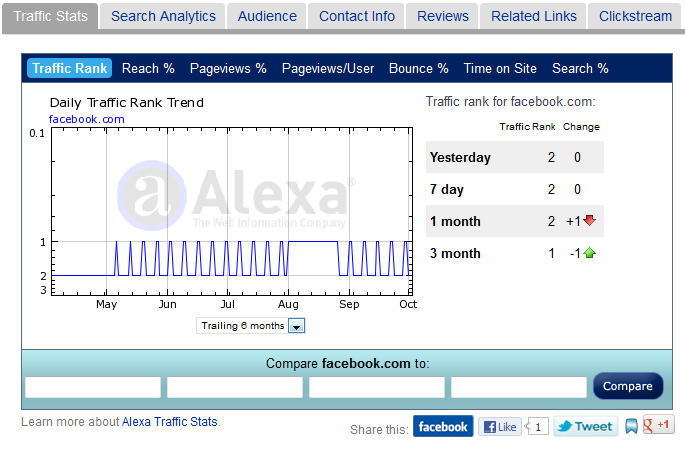 However, if you look at Alexa rank for both Facebook.com and Google.com you will see that the two of them have been going back and forth for the number one spot since early May 2012. As you can see they have both been jumping from the #1 to #2 position fairly consistently since early May 2012 to the present early October 2012. One thing Facebook gets is a little more “Time on Site” by visitors and users. Look at the 3 month average 25:28, which is impressive know matter what site we are talking about. 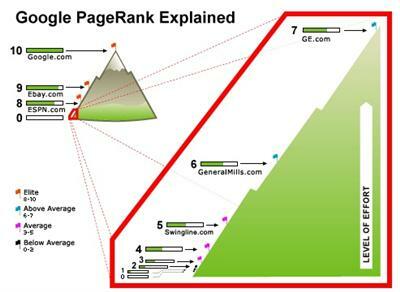 At the time of this post both Facebook and Google have pagerank 9. 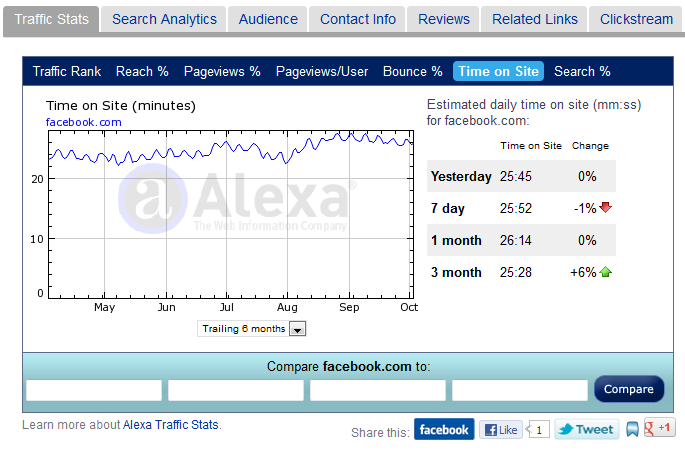 Does it tick Google off that Facebook has been nudging ahead of them in Alexa rank? Probably not, or at least not that we know about. But, I would be willing to bet that they have concerns about Facebook becoming more popular than what they are. I am sure they don’t want to see that happen. If Facebook were to get into search, offer a decent adsense alternative, and other webmaster types of tools and services it would really tick Google off. It would be tough for them to compete with Google if they didn’t have solid products and tools. Will we see that happen? Doubtful, at least not in the short-term, but who knows down the road. I should point out that the #3 Alexa ranked site is YouTube by who else…Google of course. So really if you were to tally up all the Google sites they would blow Facebook away in terms of traffic rank. But, like I mentioned in the opening paragraph that really isn’t a fair comparison at the moment. One should be comparing Facebook to Google Plus, and when you do that Facebook blows Google Plus away when it comes to traffic and use. One of the things that Google Plus lacks is the ability to make pages private. I think if they had this ability they might see more users signing up. They give you the option of setting your page so search engines can’t or won’t index it, but as long as someone knows the URL/address they can still view it. Which also means that if someone links to it people can visit it. No big deal for some people and especially business pages, but not every average regular visitor wants their page visible to the entire world. I am not that fond of Facebook’s privacy settings and controls either because they can be very confusing to set the way you want them. In fact, it can be difficult to know who can really see your posts, but at least they have some privacy control and settings. Even I noticed this fight for Alexa rank between Google and Facebook. But actually Facebook and Google are like 2 different worlds that you cannot connect by any means. Both of them are very important and it’s nice than they are not rivals for now. Nice post-i also visited the links you have given here in this article. This is a nice blog you have created. Very informative as far as SEO is concerned. Thanks for sharing. Even if we compare Facebook and Google Plus, they may have some similarities and dissimilarities, but on a broader view, the two tools cannot be used as alternatives. Both have their separate application. Thanks for the share. Neither company has figured out how to make advertising work on mobiles, though, and that is the next big battleground. But until then, the companies are both smart to do whatever they can to encourage users to stick with their small-screen experiences. 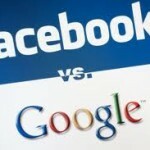 Facebook and Google have the largest user base unlike any other network on the world wide web. They are enjoying increasing popularity and their graphs will surely grow higher owing to their constant R&D. Thanks for sharing the informative post. Thanks for these stats. Google and Facebook are the best in their own areas. You can’t compare both as each has its own importance. I don’t compare them at all. I use them both but my personal feeling is that Facebook is more user friendly. If you want to get more friends and maybe more blog visitors, use them both. I think Facebook used to be a little more user friendly a few years back than what it is now. A lot of bloggers and site owner do use them both, along with whatever else seems to be the in thing. I do hope Facebook would eventually become a search engine in the near future. Google seems more and more powerful now. It’s like they own most of the influential sites on the Internet and in my humble opinion, that’s really not a very good sign isn’t it? Peter recently posted..Do You Like, or +1? I try to support other alternatives to Google when possible. I keep telling myself one of these days we will look up in the night sky and see the Google logo on the moon. They say shoot for the stars right? That’s one of the few frontiers that Google doesn’t dominate. I wish the smaller site or little guys and gals could compete with these giants, but I don’t think that is going to happen. Just stumbled upon this site and I thought I’d join the discussion. As for me, Facebook is much more easier to use. I like its features and so far, I haven’t had problems with its security. I’ve almost been hacked twice, but luckily, Facebook’s security system blocked my account before the hacker can succeed. I don’t have anything against Google Plus, but I don’t see any reason why I should use it when all my friends and relatives are still on Facebook. I hear that quite often about Google Plus. Most people are tuned into Facebook and they don’t really have the need for it. 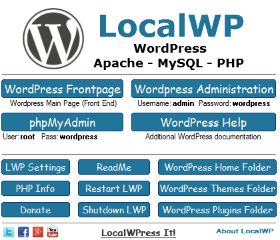 It seems to be more popular among other website owners, businesses, and people trying to promote or get more traffic. I agree that G+ is not good in terms of traffic as when compared to Facebook. But I have been noticing that it is starting to rank better in Google search. But Facebook is still the best social network and it will reign for a long time to come. Google really for me is the king in the internet that even facebook will rely on the Google’s algorithm and followed their rules and their guidelines. I notice that very often regarding Google Plus. The vast majority of individuals are tuned directly into Facebook as well as don’t really have the need to have it. 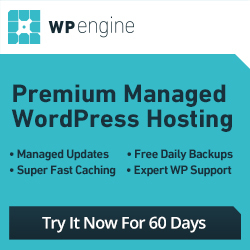 It seems to be even more popular among various other website owners, companies, and also individuals trying to promote or get even more traffic. – Google pulse having top level security and to easy in use. 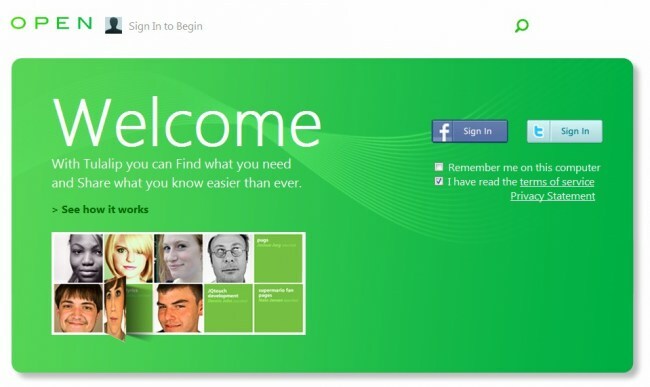 – In your Facebook account you will get great and easy User Interface, therefore everyone like Facebook.